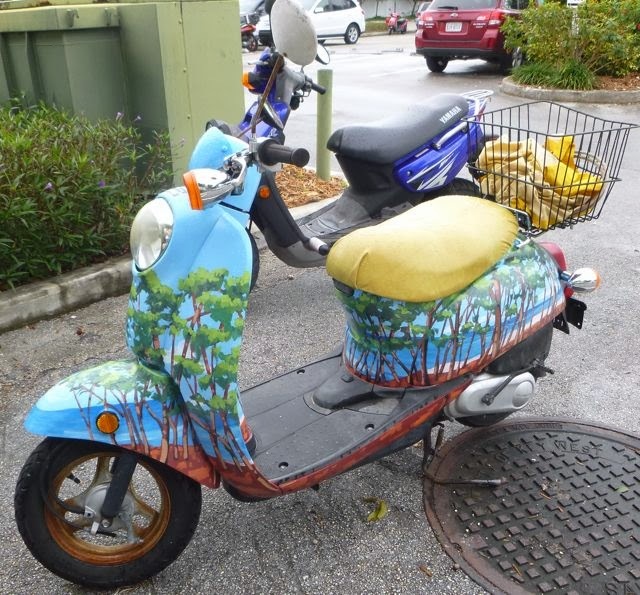 Two-wheelers – bicycles and scooters -- rule the roads in Florida’s Key West. 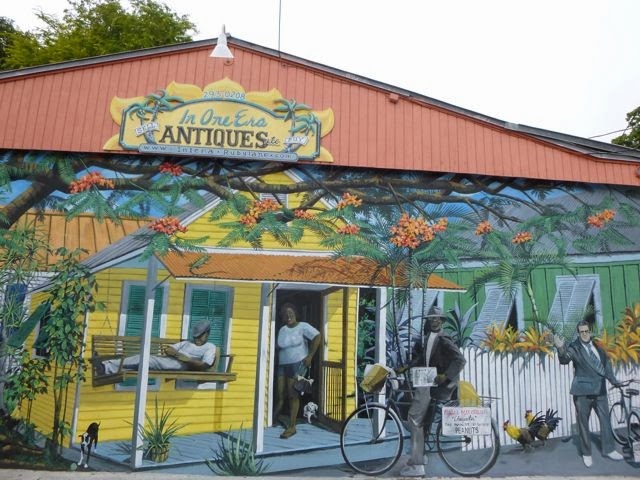 Here’s a few favorites seen on our around town stroll there…..
a quintessential Key West transportation mode, then and now. in the gallery window behind it. 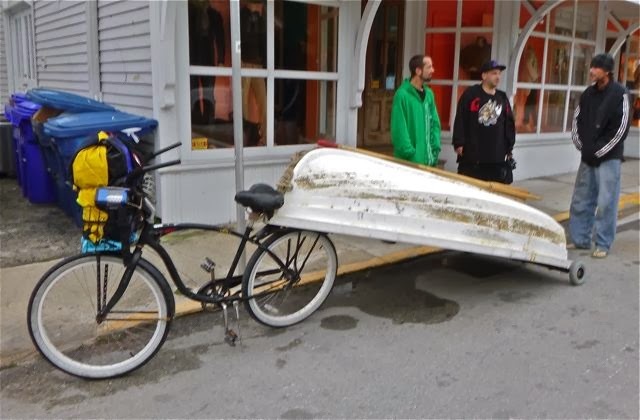 2-wheeler transport for dinghy as seen on the streets of Key West. 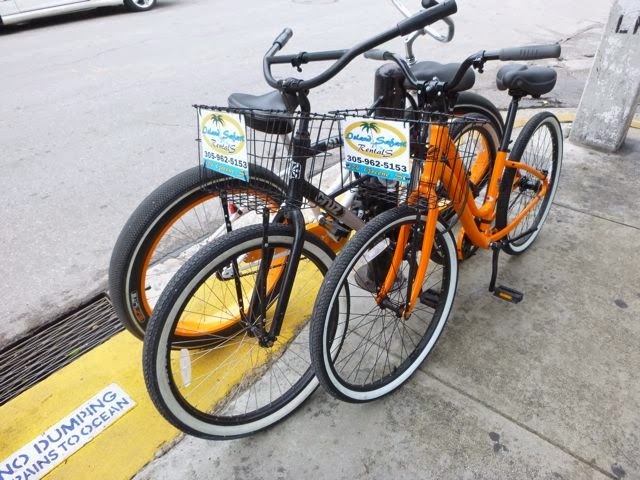 Seriously fat tires on these Key West beach cruisers. 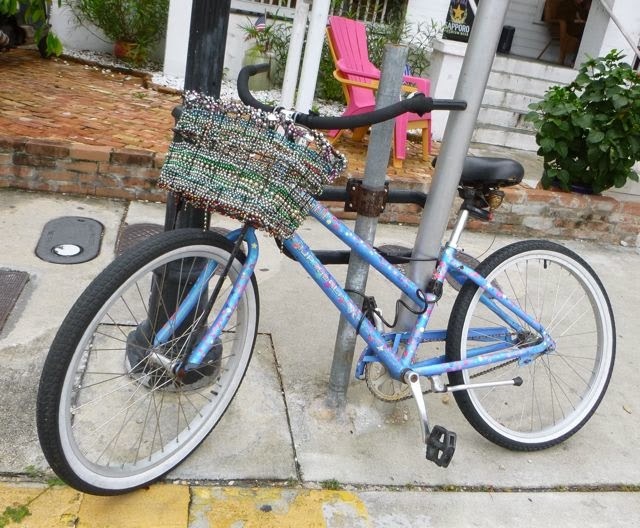 Mardi Gras beads interwoven into a bicycle basket. 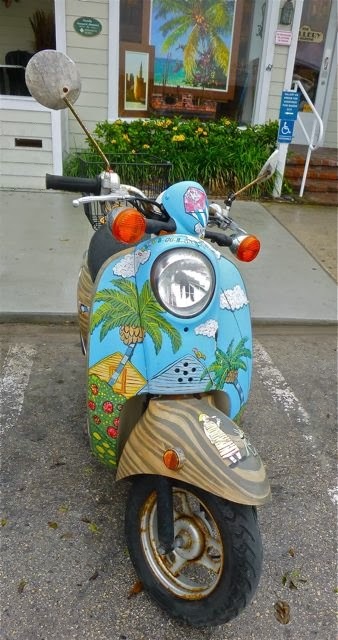 What could be more fitting for Key West?